Posted July 1st, 2015 by Jessica Garcia & filed under Uncategorized. Theories of December, 21, 2012, are varied and flying around the globe faster than the speed of light. 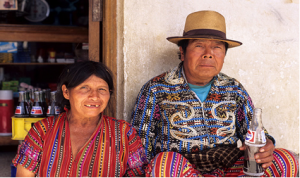 The ancient Mayas have caused quite a stir with their prophecy of an end of an era and interpretation of the indigenous insight is not at all agreed upon. What will it be? Will the planet Nibiru violently crash into our Mother Earth or will there be an outbreak of nuclear war due to a severe and drastic degradation of society? Additional theories include a change in magnetic pulls between earth, the sun and the Milky Way Galaxy resulting in major ecological disasters, Judgment day, Earth´s disappearance into a black hole, visits from the third kind and absolutely no change whatsoever. 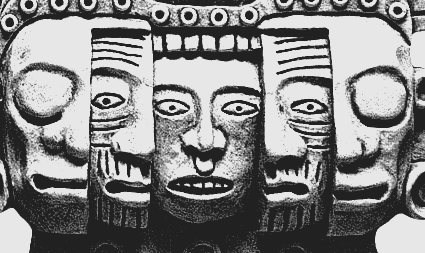 The Mayas were astonishingly accurate in their use of mathematics. They applied it in architectural designs, used it to predict movements of celestial bodies, and they created a calendar that is considered to be one of the most accurate. It is no wonder this ancient prediction has caused such widespread panic. These indigenous wisdoms are reflected in the archeological site of Chichen Itza. It is here, just west of Cancun, the Mayas constructed the pyramid of Kukulcan. 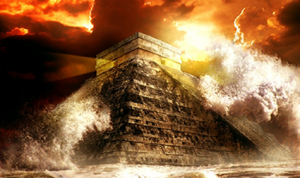 Kukulcan is a Mayan God that comes in the form of a feathered serpent and the ancient Maya culture constructed the pyramid in such a way that every equinox, the sun casts a shadow of this God onto the pyramid. 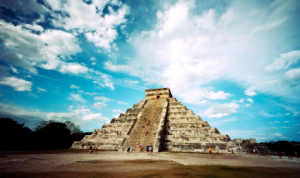 Every spring and autumn, flocks of people make the voyage to watch Kukulcan´s shadow slither its way down the three hundred sixty-five pyramid steps only to disappear into the underworld. Three hundred sixty-five steps, one for each day in the year and there is absolutely no coincidence about it. Visit the Yucatan Peninsula where the Mayas once thrived and where their contemporary descendants still do, and there is absolutely no sign of impending doom. Two years until the dreaded date and nobody in this region is causing a stir like those in other parts of the world. Hinduism, another ancient religion and culture, predicts a similar end of an era but nobody seems to know or care. Has it been writers and directors attempting to strike fear into our hearts and extract money from our wallets or is there serious cause for concern? The book Doomsday 1999 by Charles Berlitz predicted worldwide flood and famine but the year 1999 has passed us peacefully. Now, we have the movie 2012 that has put the icing on the theory cake. The question remains, what will happen on December 21, 2012? Will it be the equivalent of resetting a car´s odometer and we jump into a better era according to the Mayas or are we heading towards doom? Pick a poison and make the decision because like death and taxes, time is just as equally reliable. The countdown is on and soon, time will tell.